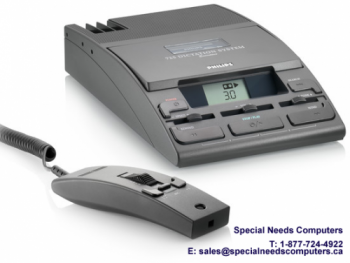 The Dictation System 725 is designed for user-friendly professional-quality dictation. All major dictation functions can be controlled with one hand. Its outstanding ergonomics let you manage your jobs easily.